Mentions in the CBR: A whole bunch! There you have it. Those were the top 17 blogs of 2017 according to Pottery Making Info. But don’t think those are the only great pottery blogs to read. Here are some more blogs that weren’t mentioned as much but have plenty of great stuff to offer. Thanks to everyone listed above for putting time, effort and resources into their blogs and sharing so much with us. You have earned some bragging rights. If you want to show off your accomplishment, feel free to use one of the images below on your blog or however you like. Is there a blog missing? Leave a comment below! 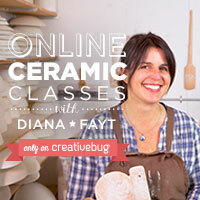 Or if you know a clay blog that I should know about, find out how to add it here. I love working on this site but over the past year I’ve been working on something new. 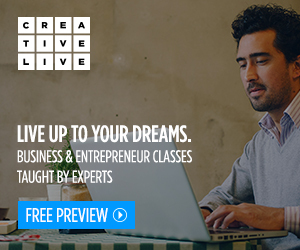 It’s a site called Expert Clay and it will offer online courses, ebooks, podcasts and more. Check out a quick trailer below and find out more at expertclay.com. Thanks for reading this list. It would be awesome if you could visit some of the blogs above and leave a comment, subscribe, or even buy some of their fantastic work. You can also support this site by getting yourself a new pottery shirt from the Pottery Shirt Shop. Check out some of these awesome designs! I hope you have enjoyed this list of the top pottery blogs of 2017 and I wish you the best in 2018! Thank you very much, it’s an honor to share the spot with Ben Carter of Tails of a Red Clay Rambler. Hi team, I’ve got a thing for Blue Willow ceramics. I admit my blog isn’t fully dedicated to the joys pottery, so I wont make the list but I thought your readers and pottery devotees will enjoy my story on the story behind Blue Willow china.